I have kept posters up everywhere ‘though wet and windy weather is shredding them lately. I rescued Kettle’s mum, spent weeks feeding her in the garden and not even looking at her, she was so nervy! Then one day she came running into my kitchen, syuaking and talking like crazy. Still nervous so I didn’t push it, she found a hidey hole and slept there..she had moved in! THEN 2 days later I discovered she had brought 3 little kittens too! About 4 weeks old so I felt doubly honored that she had trusted me this much. Kettle was the tiniest, loudest little black scrap who revealed later to be a tortoiseshell: always wanted one! They also apart from one boy are polydactyl::always wanted a 6 toed cat and now have w family! Always hoped I would get the chance to have a mummy and kittens too…so many wishes in!one go! Buster went to live with friends up the road, still visits, Polly is still a bit nervy and jumpy but sits on my lap now. 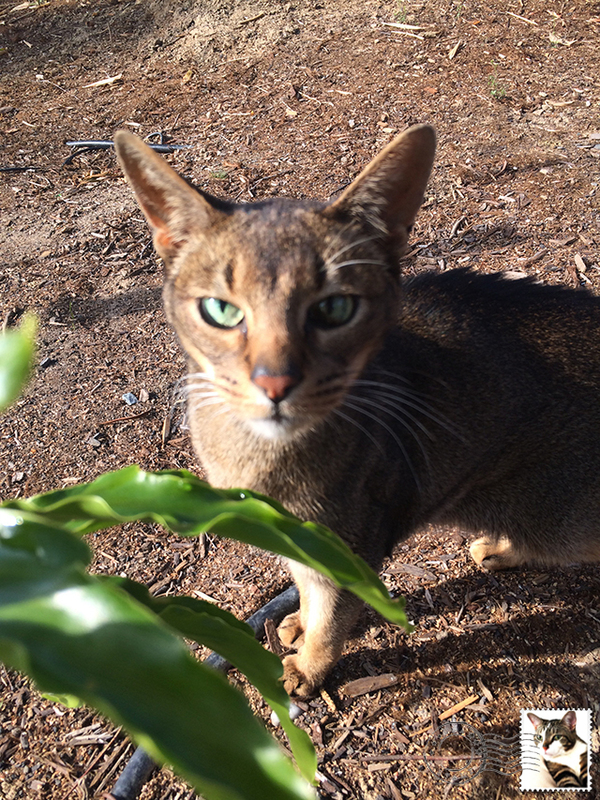 Buddhi is a sweetie and timid and not like the others, hardly goes out at all. And Kettle was a wild thing!! Never in, a true force of Nature, bold and intrepid and prone to wandering off for days. I have never had a cat disappear on me before, have looked after and helped dozens of strays in my life, kept a fair number myself. This has pulled me to bits. I keep hoping..there IS always a chance…and I miss her SO bad..it hurts a huge amount and I don’t seem able to be at peace with it. Still think I can hear the yowl/ meowrp she used to announce her return as she would come flying in and jump up for her homecoming-where have you been ? cuddles. 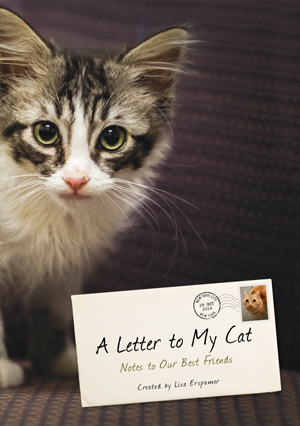 I don’t think I can read many of these “a letter to my cat” without completely falling apart but I chose this one and was devastated along with you right up until you found your baby … the longest 13 days of your life I’m sure. The part about having her so long to have it end that way was the straw … but then reading the response from the dear person whose kitty has been five long and terrible months hurts too much to read any more … right now anyway. When one of ours went missing for a mere two hours I was a wreck had posted flyers up everywhere in a 2 mile radius had put posters in some 50 mailboxes put it up on Craigslist on home again and had our neighborhood watch secretary do a broadcast email to the neighborhood. It was halfway thru the conversation with our local TV station that broadcasts lost pets during their show that we found our kitty safe and sound. It absolutely breaks my heart to know the pain and anguish people go thru and I wish every story had a happy ending … I am sorry for the person whose kitty hasn’t shown up and can only hope they found a warm safe home elsewhere!